This would also concur from news earlier today that Sony Mobile was looking to release a phone based on Cortex-A15 in H2 2012. Whilst the S4 Snapdragon is not strictly the same, performance is said to be similar. 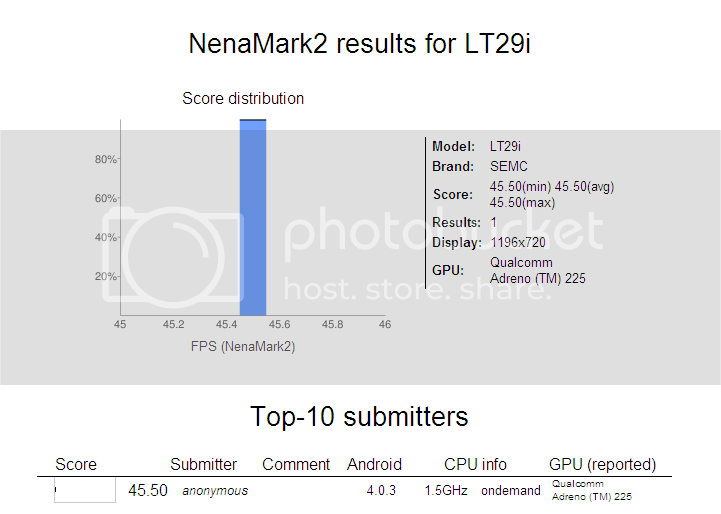 Other information gleaned from the benchmark include a 1.5GHz dual-core processor, and strange 720 x 1196 resolution display (we imagine this is some bug, the final handset should run at 720 x 1280 resolution). The handset tested was running Android Ice Cream Sandwich 4.0.3. Previous post: Sony Mobile: Cortex-A15 phones in H2 2012; quad-core phones in 2013?